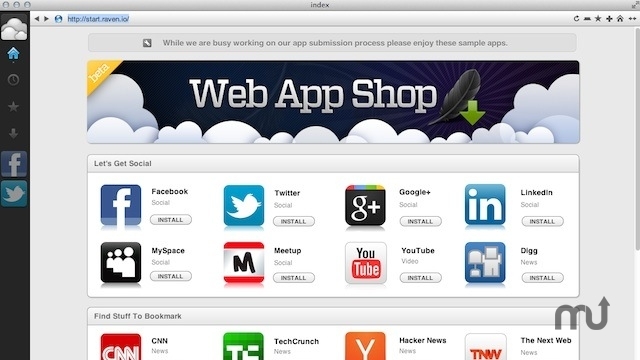 Browser with Web app integration (was Raven). Is there a better alternative to Robin? Is Robin really the best app in Browsers category? Will Robin work good on macOS 10.13.4? Robin is a Mac site-specific Web browser that will help you be more productive. Robin leverages a technique called site-specific browsing to create a dedicated Web browsing instance for each one of your favorite Web apps. Robin's history browser provides a clean, easy-to-read list of pages you've visited with a preview pane. Version 0.7.14665: Release notes were unavailable when this listing was updated. When you find something you want to read later, simply bookmark it. If you have an Instapaper account, Robin automatically sends the link for you. Simply visit your Bookmarks list and click the "T" icon to read the articles collected in text-only mode. Simply start typing what you're looking for and Robin scours your history, Bookmarks, and favorites. Not what you want? Simply hit return and Robin searches Google. The Robin Beta debuts with a handful of default menu items. Menu items are like toolbar buttons.